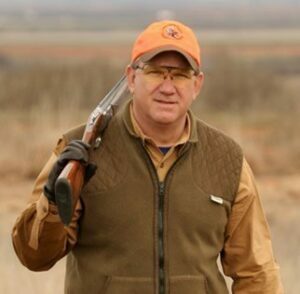 The benefit of proper eye protection while shooting at the range or out in the field is easy to spot: you can’t replace your eyes, so you must protect them fully and at all times. What might not be so easy to spot is the relationship between lens colors and the ability to spot your targets. Each lens color range features properties that can support and enhance vision in various circumstances. Here’s a list of the color ranges common to hunting or target shooting, followed by the benefits of each. Brown and gray are commonly the preferred color of the daytime hunter or target shooter. They help to cut down on ambient light and glare in sunny weather, so they’re ideal for open areas or range shooting on bright days. Both provide good contrast between your target and its background. Gray will allow you clear vision of most colors; brown is particularly good at singling out orange cones or targets…and orange safety vests, which fellow hunters are sure to appreciate! Purple and blue lenses are ideal if contrast is your primary goal. They allow brightly-colored targets to really stand out against earth tones. If you’re in a forest or an open field, targets will pop while greens (grass, tree canopies) and browns (dirt, tree trunks) will merge into a neutral composite. Red, yellow, orange, and amber lenses also allow you to pick out a target and read colors, and work best in low-light conditions. They filter out gray and bluish light so are perfect for overcast days. Any lens color in this spectrum will improve contrast, especially in a densely wooded area where little direct sunlight breaks through or in open areas during cloudy and rainy days. They’re also well recommended for clay target shooters. Polarized lenses are also a very popular item for shooters and are available in many of the above colors to suit your specific vision needs. A little experimentation with multiple colors, especially if your shooting environment is subject to varying conditions, is recommended. Use of the right colors at the right times will prevent eye strain and afford you the clearest, cleanest view of your target. Stay safe!